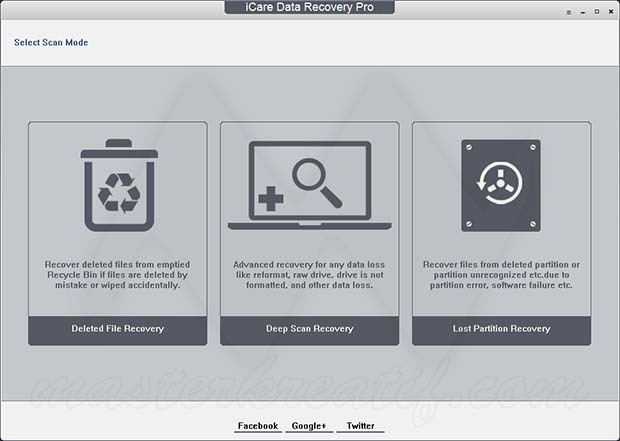 iCare Data Recovery Pro is a simple yet powerful Software to recover any deleted file, including documents, photos, or even folders and damaged disks. Forget the difficult way how you try to restore lost data due to a paltry error, because iCare Data Recovery Pro is here to help you. iCare Data Recovery is a powerful data recovery software which will helps you to rescue data from a wide variety of situations including: disk failures, virus attacks, corrupted, bad sectors, deleted partitions, and so on. This software can recover any files including: photos, documents, musics, rar and zip files, and many more. iCare Data Recovery comes with an advanced deep scan technology which will search every possible file to recover lost files that could be tracked back to several years. This software supports any type of storage media such as: Hard Disk Drives, Cameras, Flash Drives, Micro-SD, Memory Card, Memory Stick, USB Drives, etc.